GearPods Health - is currently on backorder. You may still purchase now though and we'll ship as soon as more become available. The farther from the beaten path you venture, the more prepared you should be for a medical situation. 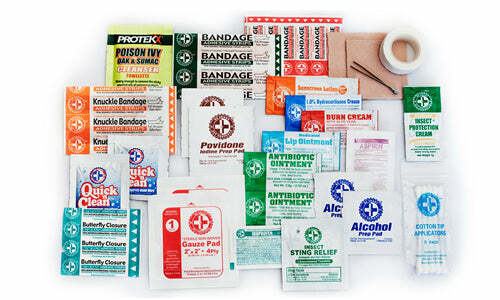 With GearPods Health, you need never go without basic first aid supplies. GearPods Health contains a comprehensive collection of first aid supplies for treating common injuries, accidents and illnesses in the backcountry. And since GearPods Health is so compact, it's incredibly easy to always carry what you need for simple first aid. GearPods Health is packaged in a durable, lightweight and watertight Medium GearPods container.